The small town venue called the horse track comes to life in an adventurous story. 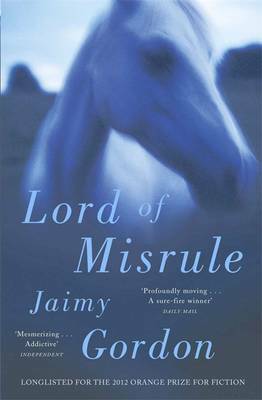 The glamor and Ritz of televised horse racing are gone in this incredible novel and replaced by real track characters , A wonderful read and I see know why it was given such a high literary award. Sorry, I love horses but this book is not for horse lovers - I made it through the first half dozen chapters, liked the poor horses, didn't like the people.